Julian Wyatt Glover was born on March 27, 1935 in Hampstead, London, England, to Honor Ellen Morgan (Wyatt), a BBC journalist, and Claude Gordon Glover, a BBC radio producer. He is of English, Scottish and Welsh ancestry. Primarily a classical stage actor, Glover trained at the National Youth Theatre, performed with the Royal Shakespeare Company and became a familiar face to British television viewers by appearing in many popular series during the 1960s and 1970s. His talent for accents and cold expression made him an ideal choice for playing refined villains. 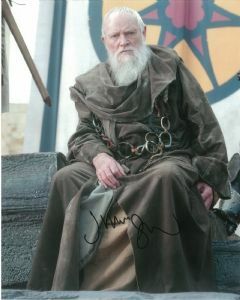 Glover's guest appearances on television include series such as The Avengers (1961), Doctor Who (1963), Space: 1999(1975), Blake's 7 (1978), Remington Steele (1982) and Merlin (2008). 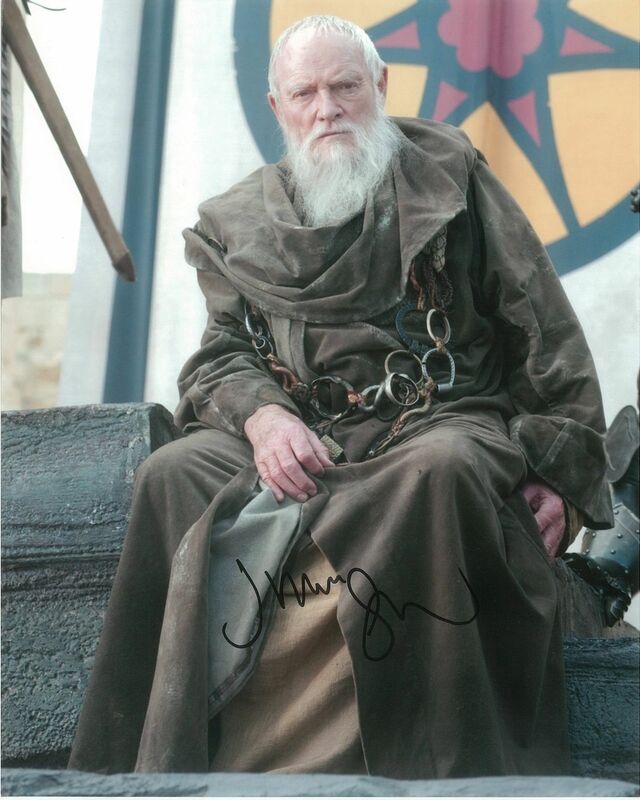 He also played the recurring role of Grand Master Pycelle on 31 episodes of the HBO fantasy series Game of Thrones (2011). During the 1980s, Glover achieved some fame in Hollywood with roles in popular films such as General Maximilian Veers in The Empire Strikes Back (1980), the Greek villain Aristotle Kristatos in the James Bond film For Your Eyes Only (1981), Brian Harcourt-Smith in the Cold War thriller The Fourth Protocol (1987) and Walter Donovan in Indiana Jones and the Last Crusade (1989). In the film version of Harry Potter and the Chamber of Secrets (2002), he provided the voice of the giant spider Aragog. He was awarded Commander of the Order of the British Empire in the 2013 Queen's Birthday Honours List for his services to drama.